For a cleaning company with high standards like ours everything less than perfect is not satisfying and that's why our clients in Camden that have used our end of tenancy cleaning services have always been happy with the jobs we've done for them. Even when we make a mistake and we somehow miss a spot, our cleaners would come back and finish the job without charging extra for the comeback, because we take responsibility for our mistakes. We have people that have worked in the industry from the other side of the barricade as letting agents and they have told us a lot about what inspectors and landlord like to see after an end of tenancy cleaning. This has enabled us to offer our clients in Camden with wonderful quality and great prices. 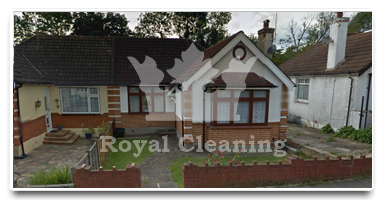 Call our Royal Cleaning phone call operators at 020 8050 2865 and book the best end of tenancy cleaning in Camden at the best possible price. 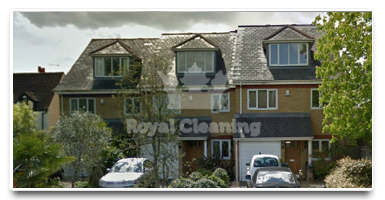 A Royal thank you for this amazing company called Royal Cleaning. Their end of tenancy cleaning crew really took things up to a new level. In my 9 years as a letting agent I had never seen such a fast job with such a high quality. This company is an example on how all cleaning companies in Camden should be working. I'm really sad about leaving Camden, but my landlord didn't look as sad as me when he saw how good his property looked after the end of tenancy cleaning done by your company. I really appreciate the hard work Yavor and his crew put in and that's why I tipped them a little over what I paid initially.